What this is (short version): A list of books, published between January 1, 2000 and December 31, 2008, that either work at the intersection of OLP and literary studies, or would clearly be of interest to scholars who do. This list is a work in progress. Please suggest additions. What this is (longer version): One of the goals of this blog is to publicize new books that we think will interest scholars working at the intersection of ordinary language philosophy and literary studies. 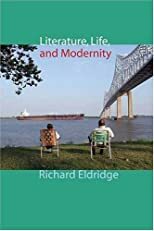 As a start, we’ve already devoted posts to the recently published Oxford Handbook of Philosophy and Literature (edited by Richard Eldridge) and the forthcoming Evil and Silence (by Richard Fleming), and we’ve also linked to an NDPR review of Stephen Mulhall’s recently published book on J.M. Coetzee and the relationship between philosophy and literature, entitled The Wounded Animal. Because such announcements will inevitably be pushed further and further down the main screen of the blog as new posts are added, we’ve created a list of the titles of such featured “new and forthcoming” books at the upper right of the blog’s screen: the books’ titles are linked to the blog posts in which they are first mentioned. We’re not yet sure how long we’ll let that list of new books become, but at some point, as more titles are added to it, older books will be removed (perhaps we’ll let the list grow to 10 or so titles? We’ll see). We hope this practice will give the book titles continuing visibility as the original posts about them recede in both time and (screen) space. Of course, there are many important books published before the beginning of this year that might have been featured on this blog, had it been created more than just a week ago. But the fact that those books have been in print for a while now is no guarantee that those readers (like the various readers of this blog) who would be most interested in them already know of their existence. We’re all familiar with the experience of stumbling upon a wonderful book, right up our intellectual alley, as it were, that somehow eluded our awareness for two, three, or even many more years after its initial publication. To make sure that doesn’t happen to relatively recent (but not quite new) books that either work at the intersection of OLP and literary studies, or would clearly be of interest to scholars who do, we’ve decided to start compiling a list of such books published since the beginning of 2000. We’ll get things started, and add more titles over time, but please suggest your own additions to this list, either by emailing us, or by leaving your suggested titles in the comments to this post. As more titles are collected, we will add them (and whenever possible, images of the books’ covers) to the main list in the body of this post (see list below). Hopefully, we’ll eventually compile a handy list of OLP & literary studies-related books published between Jan 1, 2000 and Jan 1, 2009. If this modest experiment in collective bibliography proves successful, we may, in a future post, begin to catalog important articles and essays related to OLP and literary studies as well. I’ll add the link to my own _Rhetorical Investigations: Studies in Ordinary Language Criticism_: http://www.upress.virginia.edu/books/jost.html. M.W.Rowe, Philosophy and Literature: A Book of Essays (Aldershot: Ashgate, 2004). 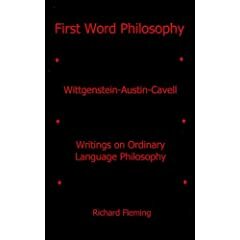 Its nine essays include studies of Wittgenstein, Goethe, Arnold, Aristotle and Shakespeare, literature and truth, the philosophy of criticism, and so forth.